If you have ever shutdown an unmodified version of Windows 10 then you’ve been there >> PC still powered on and your display is at a black screen. Then a bit later the PC powers off. From my point, I’d prefer the monitor to stay active until the PC powers off. Shutting down the monitor early is a bit annoying and leads me to believe the PC is off when it’s not. I’ve created this blog post so I won’t forget how to disable this functionality as I’m sure in time I will forget. You should notice the options below are no longer grayed out. After changing these settings my PC shutdown normally, the display stated active, and then the PC powered off. For good measure, I power on my PC I didn’t notice any change in the amount of time for it to startup. This entry was posted in Windows Performance. At some point in your VMware administrator career you discover you need information around the correct settings to deploy a VM properly. What is the supported network adapter for my Guest OS? Are Paravirtualization adapters supported for my Guest OS? Can I do Hot memory add? A few years ago the default standard was the Guest Operating System Installation Guide. It gave you all the information you needed to setup the virtual hardware or confirm what recommend virtual hardware should be by the OS Type. Recently the compatibility and OS installation guides have come online and they can lead you to best practices around settings and KB’s too. In this blog post I’m going to step you through how to find basic information around a Windows 2008 server. This link will take you to the Guest Operating System Installation Guide. Here are the base install instructions for the Guest OS, note at the bottom the KB Articles and Guest OS Compatibility Guide. The Guest OS Compatibility Guide can tell you what network drivers etc are support for the guest OS.. This entry was posted in ESX, ESXi, Home Lab, Networking, vCenter Server, vmware, Windows Performance. I believe it is a common misconception that Windows 2008 is aligned out of the box. I also believe that Windows 2008 has a better chance of being aligned out of the box then most – But Don’t Trust it. The way partition alignment works depends on the version of Windows being used and the version in which the partition alignment was created. The following sections describe how partition alignment works in Windows Server 2008, the Windows Vista® operating system, and Windows Server 2003 and earlier. However, if OEM setups are delivered (for example, with recovery partitions), even fresh installations of Windows Server 2008 having partitions with undesirable partition starting offsets have been observed. Whatever the operating system, confirm that new partitions are properly aligned. This entry was posted in ESX, vmware, Windows Performance. Here is one way you can determine if your server is doing soft or hard Page faults. Hard Page faults indicate the server is going to the Hard Disk to retrieve needed data and place it in RAM. As you can see from this screen shot this server isn’t doing any hard page faults. If you notice consistent hard page faults, this could be by design, or you need to add RAM to the server or allocate appropriate RAM to the application. Either way, I’d recommend consulting with the application owner or company who created the application for proper guidance. 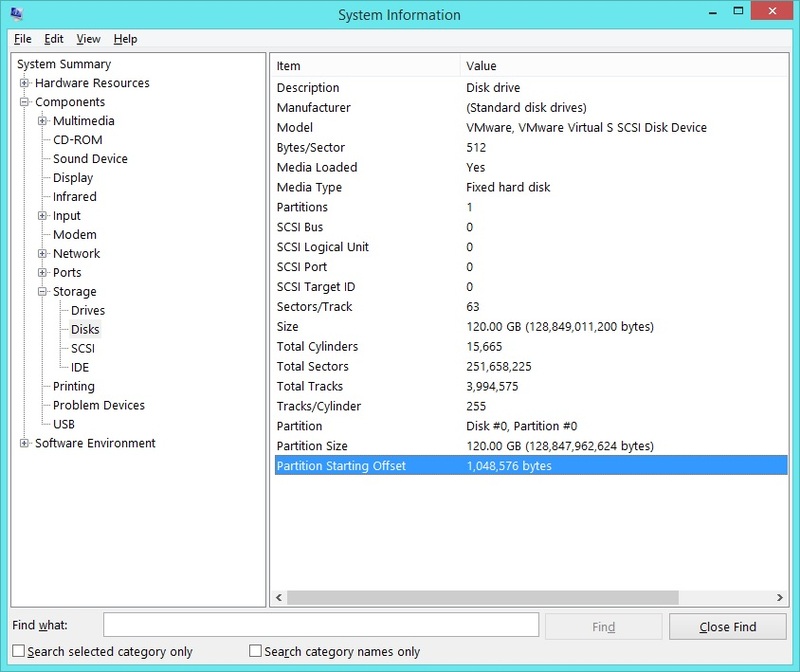 Basic analysis – No issues found, memory okay, disk okay, etc.. Vendor believed that Hard Page Faults were the issue based on Task Manager Reports. I used the link below with Performance Monitor & Process Explorer to prove the server was not paging to disk.